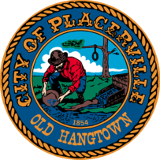 The Community Pride Committee was established in 1990 by the City of Placerville, Resolution #5139. The Committee is staffed by volunteers. Since its inception, this group of dedicated volunteers has planted and maintained 20 public gardens throughout the City. The function of the Committee is to promote community involvement in gardening, landscaping/public art projects, and other beautification projects through volunteer membership and participation of individuals and community service organizations.